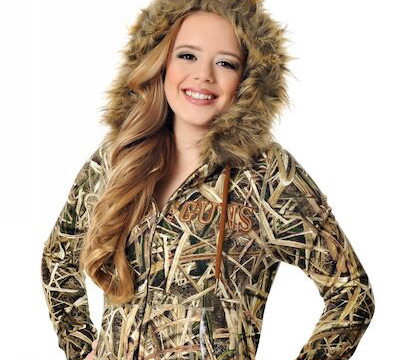 Stay warm and stylish in the Fur Hoodie from Girls with Guns® Clothing. Featuring a sherpa lined body (excluding the arms for less bulk when shooting) and pockets, thumb holes for comfort and a fur-trimmed hood, this stretchy zip-up can be dressed up or down. Features include: Fur trimmed hood and Sherpa lined body, 60% Cotton, 40% Poly and imported. Made by Realm Brands, LLC. LIMITED TO STOCK ON HAND. NO BACKORDERS.